Miriam found her passion for animals when she got my first dog over 14 years ago. He was a pug named Pugsley who passed away from cancer in June 2016. She currently has a pug named Winnie and a Shih Tzu named Stanley. They both enjoy coming to work with her and seeing the other animals that she grooms! 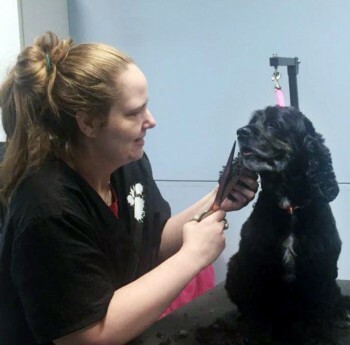 She has a soft spot for Senior animals, as they are so loving and enjoy the special attention and how good they feel after they are groomed. Miriam has lived in Ohio all her life, and has lived in Columbus for 17 years now.